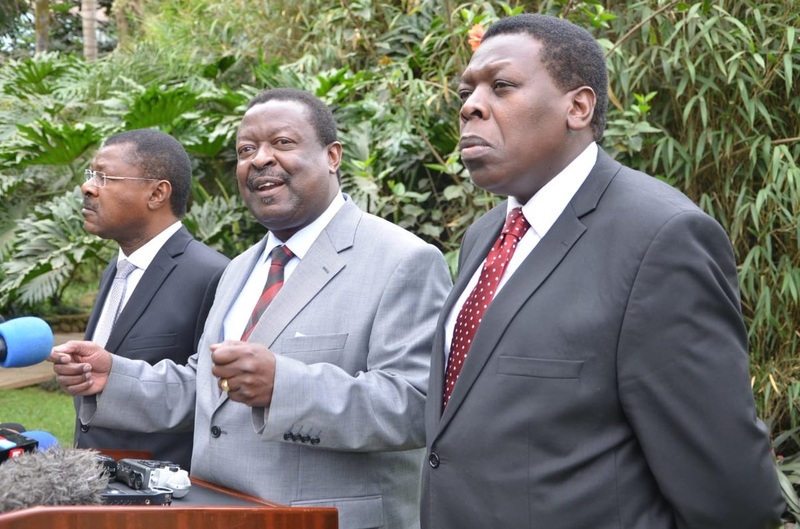 Wednesday August 22, 2018 - Amani National Congress (ANC) Party Leader, Musalia Mudavadi, has cleared the air over the main reason why he skipped the controversial mock swearing-in of Raila Odinga at Uhuru Park January 30th, 2018. Speaking yesterday, Mudavadi said he was against the mock swearing-in of the Orange Democratic Movement (ODM) leader because it was against the Constitution. Besides, he said that he knew Raila would use his newly acquired status as the People’s President to negotiate deals with President Uhuru Kenyatta which might see him join the Government and leave them in the cold, and as it turns out, he was right. “I kept emphasizing ‘tuwek break’ (put it on hold)," said Mudavadi. "That is the reason I did not go to Uhuru Park," he added.